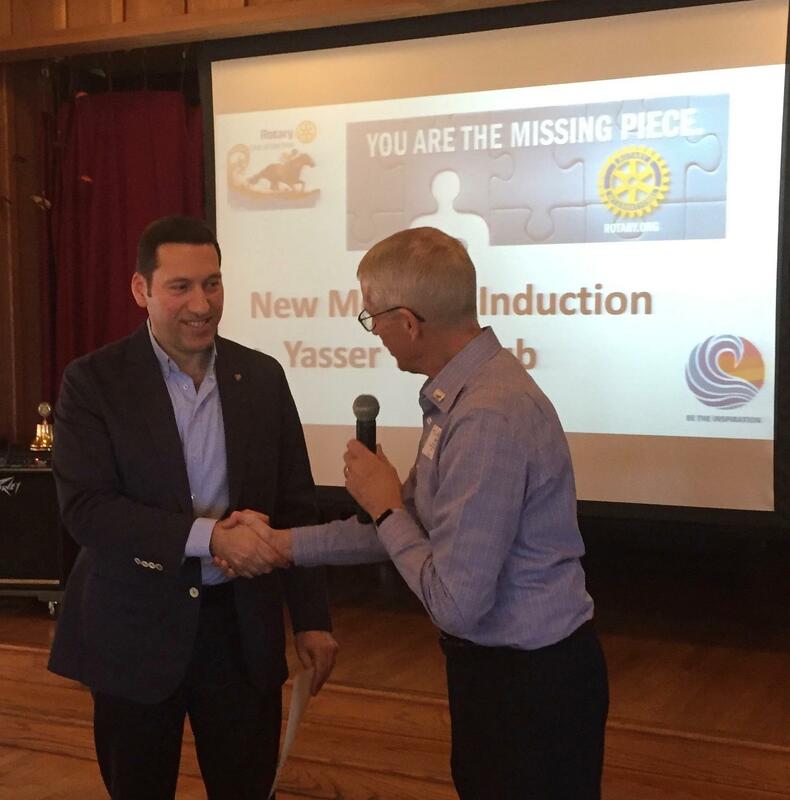 At the January 24, 2019 meeting we inducted our newest member, Yasser Tahboub, who recently moved to Del Mar from Bahrain, where he was a member of Rotary Club of Sulmaniya. We are delighted that he chose our club to continue as a Rotarian in the United States. Yasser said that he’s been volunteering since his youth and sought out Rotary as a way to continue volunteering as part of an organization that has a global reach.